If you are Sushi fanatic and you love seafood then this is a must read! 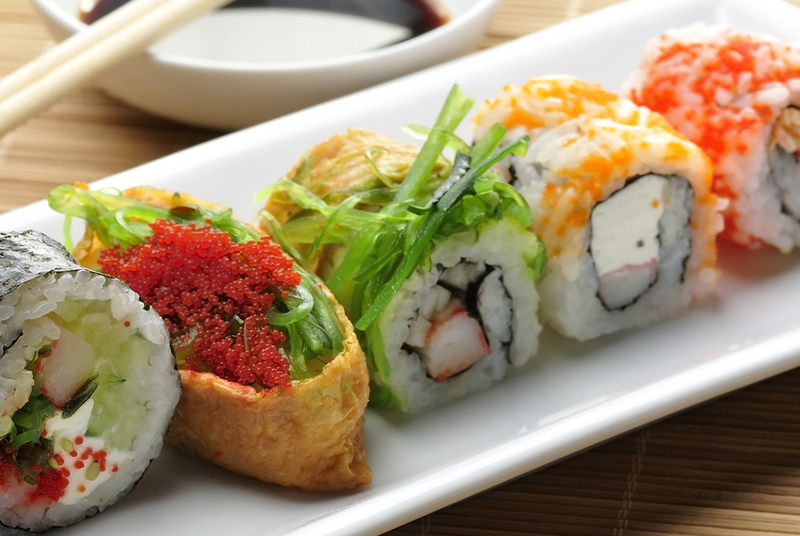 Here is a presentation of the 10 top low-budget sushi restaurants in Cape Town and the surroundings, they offer sensational sushi at very low prices thanks to half price specials, daily discounts or all-you-can-eat sushi buffets. Situated in the inner courtyard of Wembley Square in a tranquil and trendy setting this restaurant is contemporary, sells fantastic sushi and offers daily half-price deals between 5pm and 9pm. Perfect for revelers, this restaurant is opened from 10am to 3 am, that is to say at almost any time of the day. It does authentic Asian cuisine and priced an all-you-can-eat sushi at R99. Situated in the swanky suburb of Camps Bay in a relaxed setting, this restaurant offers half-price sushi specials between 12pm and 6pm daily. Customers can take a seat indoors at the sushi bar, seaside at the tables or outside on the terrace to admire the wonderful landscapes. A trendy and cheap restaurant, with à la carte sushi, daily price cuts (50% off before 6pm and 30% off after 6pm) and a set menu all you can eat-sushi at 120R.You can also combine a cocktail to the sushi , like Sweet Melon, Watermelon Crush and many other. Block D, Shop 2, Sable Square, Corner of Bosmansdam and Ratanga Road – Century City – Milnerton – Tel: +27 (0)21 528 7586. This sushi bar often offers bargain, and priced their daily all-you-can-eat sushi at R135, they also sell individual plates at a low price, including the most sold products such as Crispy Duck Rolls, Bean Curd Nigiri or Seared Tuna and Cheese Rolls. Well located this sushi restaurant is also cheap; with the all-you-can eat sushi available every day for only R119 and the platters of 16,18 or 20 respectively for R50, R60 or R70. Just be careful about one thing, you should not bite off more than you can chew, because if it is the case you will pay R5 for each portion of sushi remaining on your plate. Furthermore, you can sit inside the homely house of seafood or outside in front of the crowd. In this restaurant you can eat at water’s edge, on a wooden deck suspended over the ocean, unfortunately the restaurant doesn’t offer regular specials but sometimes they announce discount prices, just call to see if it is the case. A well-known name among the Asian restaurants in Cape Town. They supply top-quality and knock down prices at the same time. They offer their all-you-can-eat sushi special priced at a very reasonable R99 and bite-sized fare at a constant 50% off discount. A spectacular sushi menu and stunning views over the yacht basin, this simple restaurant is located in Simon’s Town and offers fish sourced locally. You can seat indoors or outdoors when the weather is more clement to contemplate the beautiful vistas. A modest Asian restaurant but very popular among the locals, he has the advantage to be opened from Monday to Sunday and he offers a set menu “buy two plates, get one free” at affordable prices. Furthermore you can sit indoors , next to the sushi bar or outdoors for more intimacy. They opened in mid-march 2013 , that restaurant is devoted to being different , the owner worked 11 years for the renowned Beluga and Sevruga, he wants to be innovative and to “ South Africanize Sushi” . This restaurant also proposes affordable prices, for example for a platter; it costs between R67 and R139. Positioned perfectly with unrivalled views of Table Mountain and Table Bay, Blowfish Restaurant is an all-round sensory experience. With windows spanning the length of the restaurant guests can enjoy the fresh sea breeze and sound of the nearby Atlantic Ocean. Half Price Sushi every Wednesday & Sunday. Signature dishes include Bon Bon Gifts (salmon fashion sandwiches wrapped in salmon and topped with mayo and caviar), Prawn Passion (Deep fried prawn California rolls topped with teriyaki sauce, Japanese mayo and spring onion), Malay Chicken (a rice noodle dish with wok seared chicken strips in a coconut milk, coriander and fresh chili sauce) while the wok seared Salmon Salad continues to receive rave revues. They propose discounts from 10%-50% on selected sushi Monday, Tuesday and Sunday night.